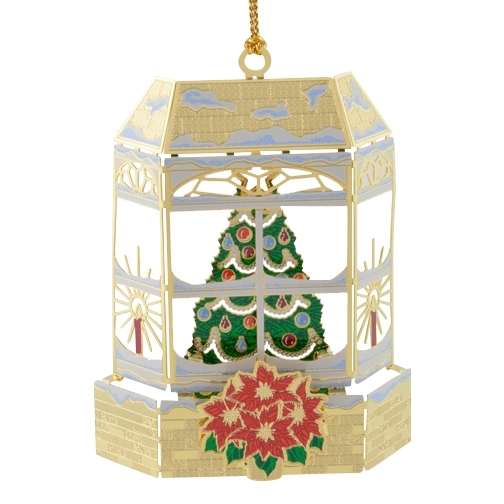 If your family has the Christmas tradition of adding one high quality ornament to the collection each year, this hand painted brass ornament might just be the winner. It's a Christmas window scene looking through the window at a decorated Christmas tree. We pack the ornament in a velvet lined gift box suitable for storing in the off season for years and years.